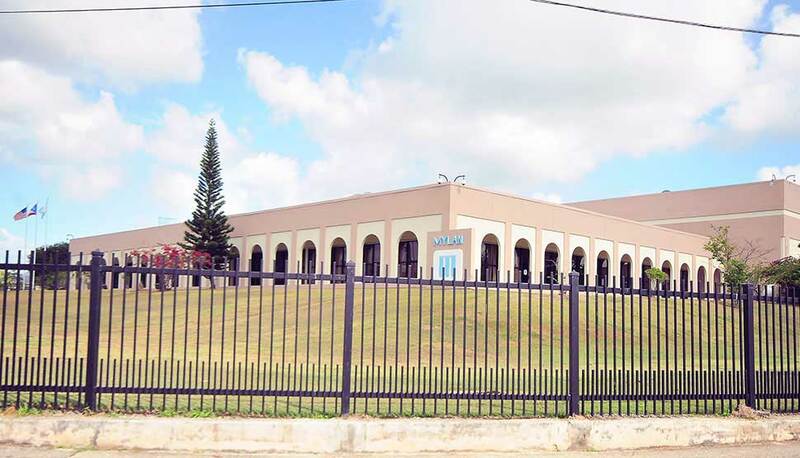 Mylan's—a global pharmaceutical company—facilities in Puerto Rico. That's essentially how Frank Rodriguez got to work after Hurricane Maria. Rodriguez was trying to get to Mylan's pharmaceutical manufacturing facility in Caguas, Puerto Rico. But the worst hurricane to hit the island in decades had made the 19-mile (31 km) journey south of San Juan nearly impossible. Maria's 150-mile-an-hour (241 km) winds seemed to destroy just about everything on the island. Power and communications were out. Roads and bridges were in shambles and trees and utility poles were scattered like toothpicks spilled from an open box. 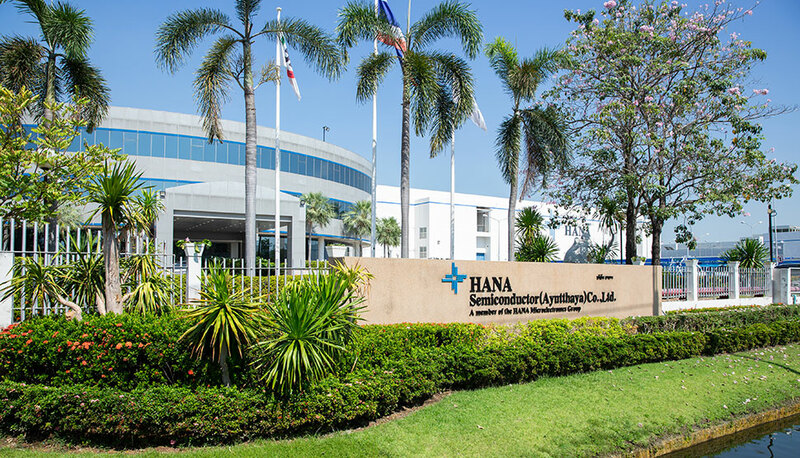 Rodriguez, Mylan's head of site operations in Puerto Rico, had already checked that his family was safe and was now worried about his employees and the plant they operate. He couldn't reach the crew at the facility and feared the worst as he followed the bulldozer that was methodically clearing debris from the roadway. Eventually the production facility came into view. Rodriguez couldn't quite believe what he saw. Despite the devastation all around, the building looked virtually untouched. The wind had knocked over a truck in the parking lot and tossed a large dumpster through the perimeter fence, but there was no visible damage to the facility. 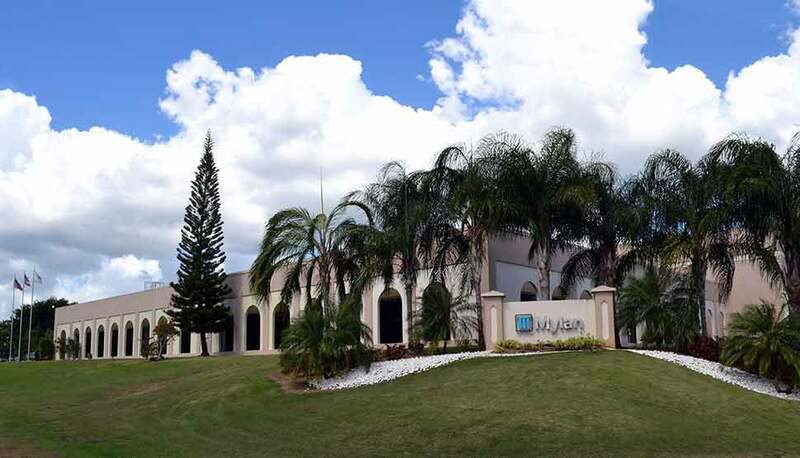 Mylan's Caguas facility had survived the storm. "A small part of the roof peeled back and some things inside got a little wet, but there wasn't too much damage," Rodriguez reports. "We were ready to resume operations in a couple of weeks." While Rodriguez was surprised, the facility's good condition was no accident. It was the result of 15 years of improvement, Mylan's commitment to keeping its facilities resilient and FM Global's continuous efforts to understand what it takes to withstand hurricane-force winds. "Several of the pharmaceuticals we produce in Puerto Rico are life-saving products," explains Dale Stemple, Mylan's head of environmental health & safety, North America & Europe. "When you have facilities in places that are exposed to natural hazards, keeping those facilities resilient is part of doing business. We must be able to continue to deliver products to the people who depend on us. 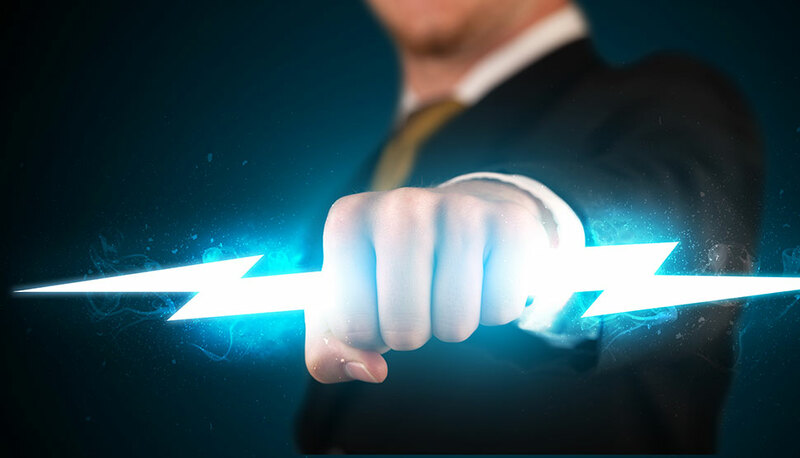 That's what makes FM Global such a great partner because we both have the same risk management philosophy." The FM Global and Mylan partnership began in 2002. FM Global recognized that it had significant wind exposure in Puerto Rico and launched a major initiative in the early 2000s to fortify its clients on the island. FM Global's research showed that the Caguas facility could only sustain winds up to 100 miles per hour (160 km), the strength of a Category 2 hurricane. By 2009, Mylan's Puerto Rico plant had been fortified to sustain winds of 140 miles per hour (225 km), the strength of a Category 4. "We joke around here that we really don't have a roof anymore," Stemple says. "It's really just a bunch of fasteners at this point." But the storm-hardening work didn't stop there. As FM Global continued to study the destructive power of hurricanes, it determined that even the 140-mile-per-hour (225 km) level was not enough. It recommended that Mylan do additional work, so the facility could survive even higher winds, like those from Hurricane Maria. "It can be frustrating for clients because they do everything we recommend and then as we learn more and get smarter, we ask them to take even more action," says FM Global's Matt Tomasheski, assistant vice president and senior account engineer. "But Mylan understands that and did everything it needed to increase the resilience of the facility. Surviving a hurricane like Maria means it was all worth it." Mylan's storm-hardening efforts went well beyond the roof. It limited roof-mounted equipment and fortified the equipment that couldn't be moved off the roof. As it expanded and renovated the facility, Mylan followed FM Global's latest recommendations for wall construction, dock doors and windows. It reinforced its sprinkler system and added natural gas shutoffs to limit fire exposure in the aftermath of hurricanes and earthquakes. "It took a lot of dedication from the whole team, but it was well worth it," says FM Global's Diana Van Meter, assistant vice president, senior account manager. "Mylan is very committed to protecting its properties against risks, including threats from weather. 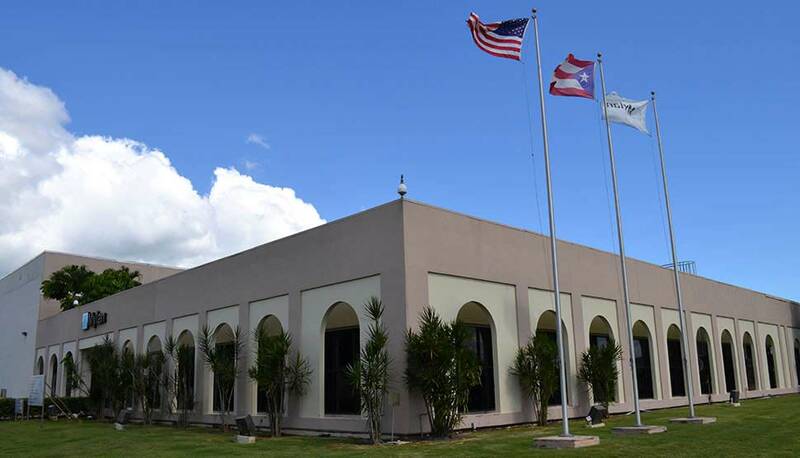 They worked hard to make Caguas a well-protected facility, and it proved to be just that." Mylan was not alone in facing significant wind exposure on the island. While direct hits like that delivered by Maria are rare, the island is impacted by tropical storms and hurricanes almost every hurricane season. Just two weeks before Maria, Hurricane Irma skirted the island before doing significant damage in the state of Florida. "We get a lot of practice with our emergency plan," Rodriguez adds. Mylan does extensive hurricane pre-planning and was ready when Maria hit. It rented backup generators and moved finished products and some raw materials off the island ahead of the storm. It ended production early and moved vital equipment to safer places within the plant. A small crew stayed behind to safeguard the facility. They were instrumental in securing a loading door that gave way during the storm. "We felt we had a real opportunity to impact the resilience of the whole island by installing robust roofing systems that would be able to withstand very high wind speeds." Mylan is one of 49 pharmaceutical companies on the island according to official government statistics. Tax incentives offered by the Puerto Rican government in the 1990s made the island an attractive place to set up shop. But as pharmaceutical companies flocked to the island, FM Global raised concerns about the ability of these facilities to survive major hurricanes. "It became a big concern in our organization with how much exposure was sitting on one small island," explains Neal Bear, now operations senior vice president in California who led the storm-hardening effort on Puerto Rico. "We had a team on the island to evaluate the risk and to see if we could mitigate some of those exposures." It didn't take long for Bear and his team to realize how significant the wind exposure was on the island. "We started doing full roof testing on locations we insured and every single one of those roofs failed, some of them on the very initial pressure," he says. Bear explains that weather conditions in Puerto Rico make installing roofs difficult. Ever-present humidity and rain can cause the roof covering to delaminate (separate from the decking below) during installation. This significantly impairs the roof's integrity, especially when faced with strong winds. 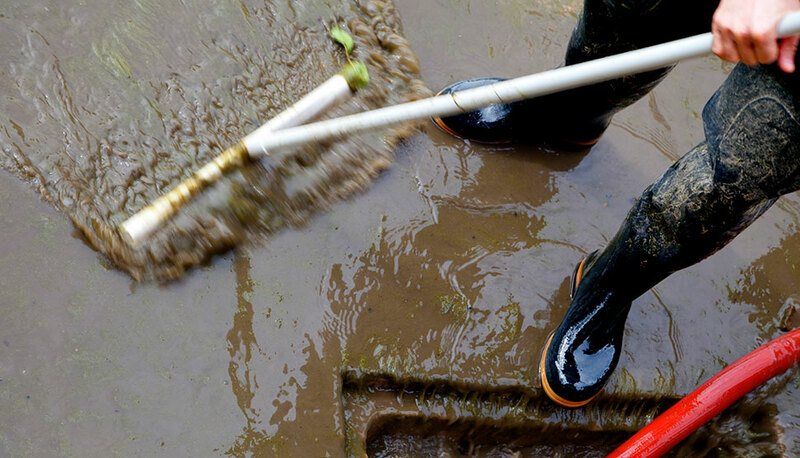 "We worked with the local government and our clients to make them aware of the exposure and what a big loss could look like in the event of a major hurricane," Bear adds. "We felt we had a real opportunity to impact the resilience of the whole island by installing robust roofing systems that would be able to withstand very high wind speeds." But, Bear explains, some of the products FM Global recommended weren't readily available on the island. So, FM Global partnered with manufacturers, roof installers and its own FM Approvals to get the right products to the island. It also worked to promote installation techniques that limited the effects of humidity and rain. "The place is like a fortress. If we ever get another hurricane like Maria, I’m coming here." Much of what FM Global learned about how to protect Puerto Rico from hurricanes came from extensive research it did following Hurricane Andrew in 1992. Andrew ripped through the Bahamas and Florida and at the time was the most devastating hurricane on record. "1992 was a turning point in our approach to wind," says Tomasheski, who was part of the field engineering response following Andrew. "The findings from Andrew helped us better understand the wind exposure and led to new classifications and many of our recommendations for retrofitting roofs." That effort paid off on Puerto Rico. While not every FM Global insured facility escaped damage, their losses were significantly less than natural disaster modeling predicted. The modeling showed a potential loss of US$1.2 billion for all of FM Global insured facilities impacted by Maria. Actual losses were less than US$500 million. 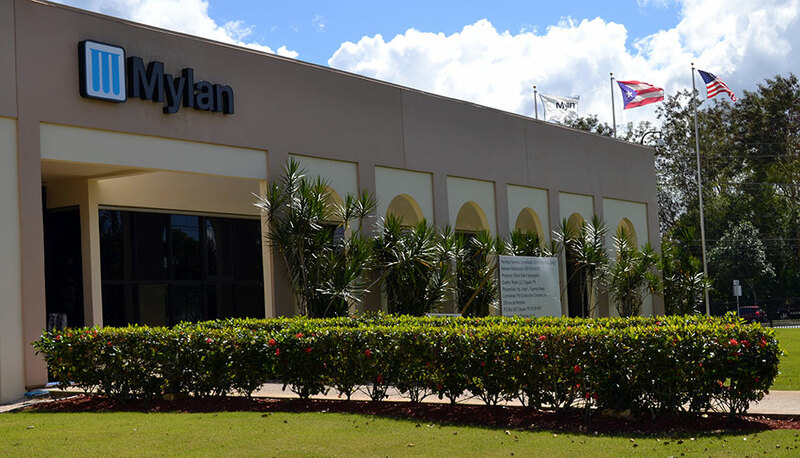 The resiliency of the Caguas facility proved vital, not just for Mylan, but for the local community. Mylan opened its doors to its employees and those in the surrounding community to provide food, water and other assistance from the site. "I'm blessed to have a leadership team that prepared and reacted as quickly as they did before, during and after the hurricane," recalls Rodriguez. "The leadership above me, all the way to the very top, did not hesitate in offering assistance in any way they could – a true sign of our commitment to our people." 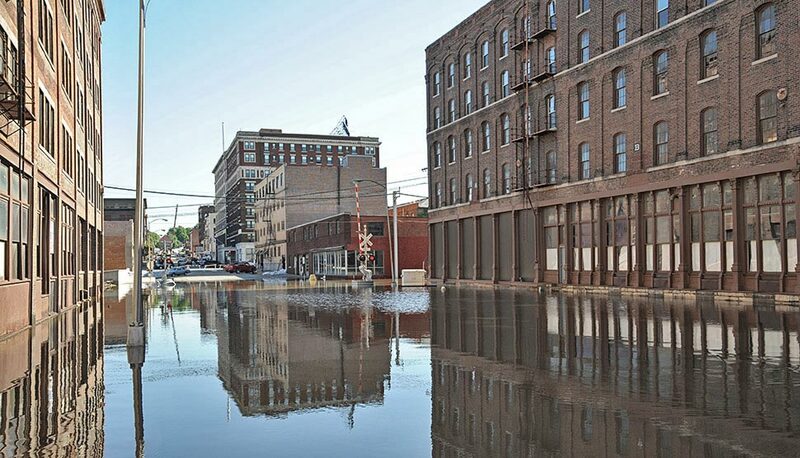 Following the storm, Mylan flew 36,000 pounds (136,000 kg) of essential items needed by local residents and Mylan employees, including meals, generators, fuel and chainsaws. Mylan provided meals to area police and the national guard, donated diesel to Caguas Children's Hospital and provided medicines through various international relief organizations. "Everyone I've ever met at Mylan is very committed to their mission statement of helping deliver better health for a better world," VanMeter adds. "What they did in the local community and the efforts they put into making all their key facilities resilient is a result of that mission statement." And Mylan isn't stopping there. The damage to the power grid in Puerto Rico extended the time the Caguas facility was offline. Mylan has brought in large generators to mitigate the power issues in the short term and is building its own power generation plant at the facility to further improve its long-term resilience. "The place is like a fortress," Rodriguez concludes. "If we ever get another hurricane like Maria, I'm coming here." Access FM Global's Client Training Center.